Afternoon autumn sun filters through the trees to warm the house. 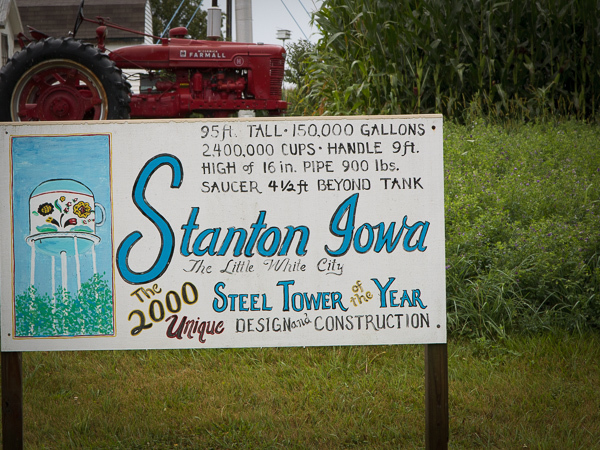 Previously I had visited Stanton Iowa and wrote about it here. I was back this summer and the day I was there it was raining, but I did manage to get some shots of the coffee pot and coffee cup. You’re probably wondering what I’m talking about. 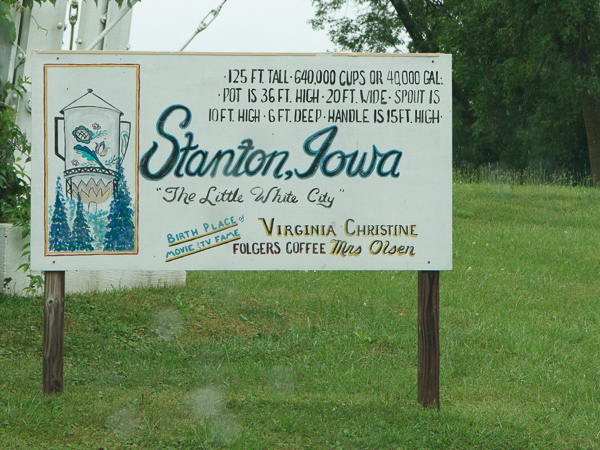 Stanton Iowa’s claim to fame is that it is the hometown of actress Virginia Christine, best known to television viewers as “Mrs. Olsen” in classic commercials for Folgers. 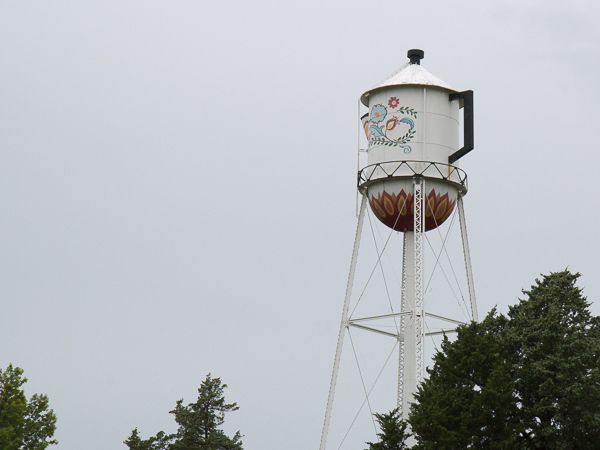 As such the town has seen fit to honor it’s former inhabitant by making the town’s two water towers resemble a coffee pot and a cup on a saucer. 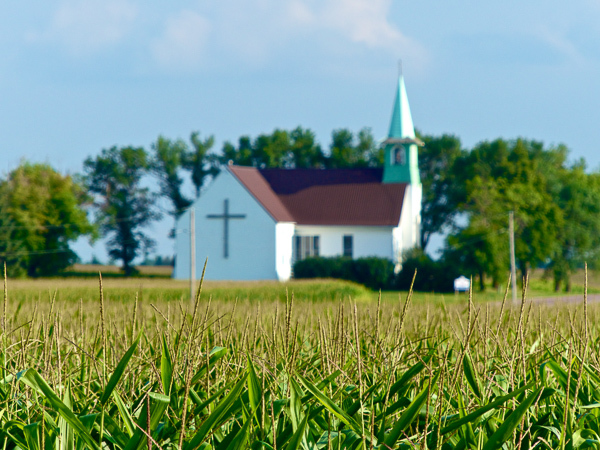 Minnesota is chock full of rural churches in a stark contrast to the trend in the larger cities which is to grow mega churches. These small churches are special in that it’s a very close congregation typically. The problem they have long term is with the young people migrating to the city, the congregation is composed of older and older members. 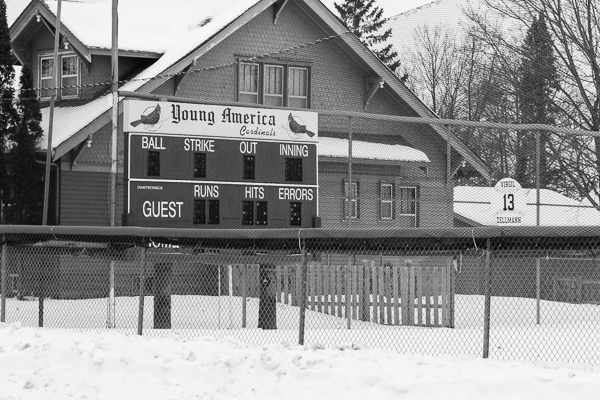 Things like painting and other maintenance tasks that would have been done by volunteer member labor start to be too much given the age of the members. Fixed incomes of members and a shrinking congregation due to mortality mean less funds for upkeep. I will say though, I see the country churches doing better than their small town counter parts. I’m not sure why that is. 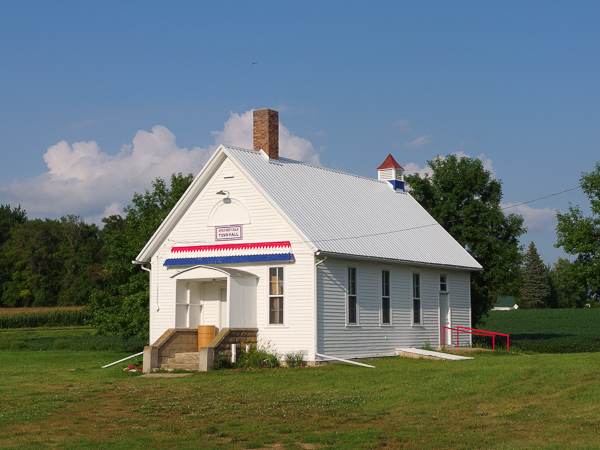 This beautiful town hall is in Cottonwood County, Minnesota six miles south of the town of Storden. In addition to being used as a polling place and township hall it was once a school. School district No. 5 was formed in Springfield township, from sections 26, 27, 28, 33, 34 and 35, in township 105, range 37. Source. Genealogy trails had this little tidbit that I found interesting and mildly amusing. 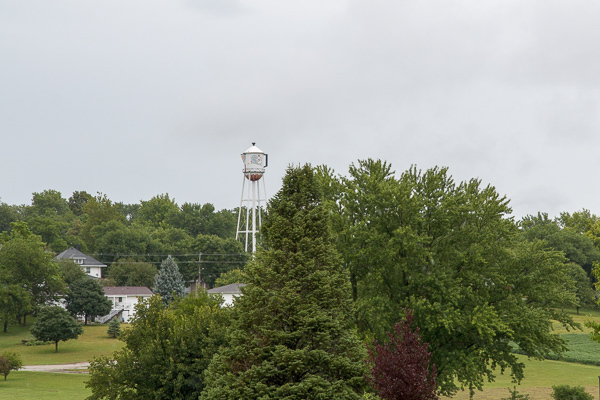 Springfield township is the second from the western line of the county and is on the south line, with Southbrook township at its west, Amo township at its north, Great Bend township at its east and Jackson county at the south. 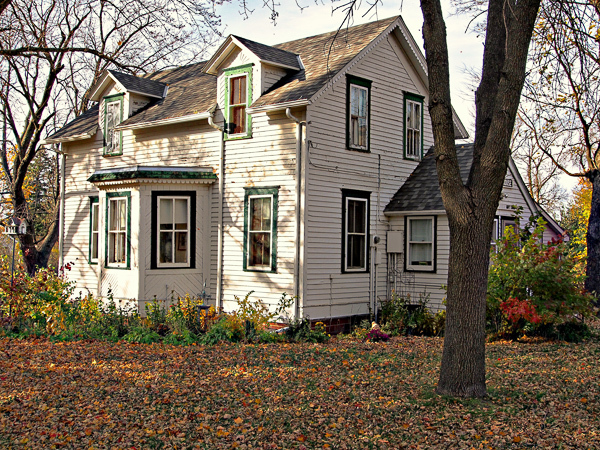 It comprises all of congressional township 105, range 37 west The main stream and south branch of the Des Moines river flow from the south-east to the northeast of this township, forming the great bend, after leaving and entering Great Bend township. This is an excellent township and the farming interests are good. The people are of the thrifty type, who always succeed in accumulating wealth. Once a barren prairie domain, it has, under the touch and labor of its settlers, come to be known as one of the finest in the county. Its groves, which were planted out by the thoughtful settlers, have come to be of great beauty and utility, both for the fuel and shelter they afford against the severe elements. I’m not disputing the statement, but I wonder if that observation was of a third party or if it’s more of the case the author putting some personal thoughts down. Back on June 15th I was out photographing and took this shot. As you can see, things were quite wet then. 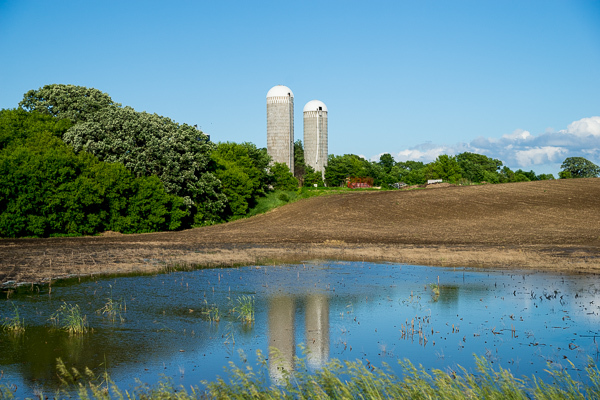 I liked this shot because of the reflection of the silos in the water. 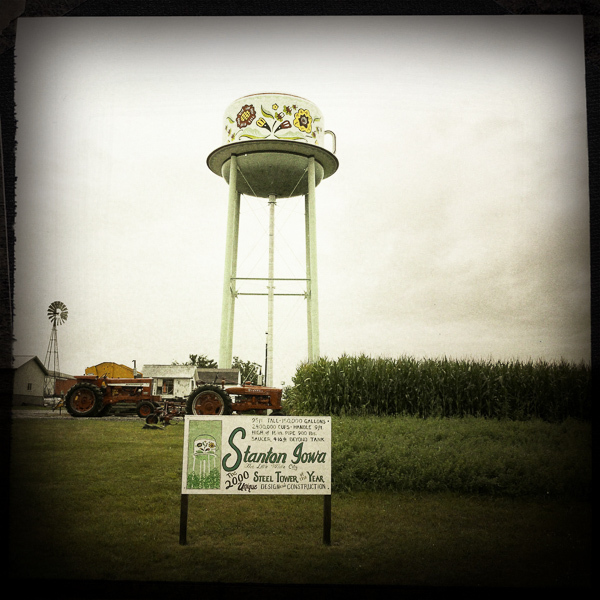 A little bit about the type of silos in the photo is excerpted below. Was out and about for a little bit today. 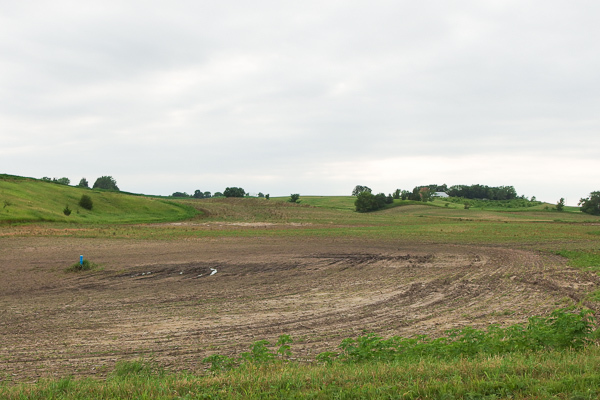 Like most of Minnesota we’ve had a wet spring and first half of the summer and things just can’t seem to dry out before we get hit with more rain. Spring planting was late and then the floods came. 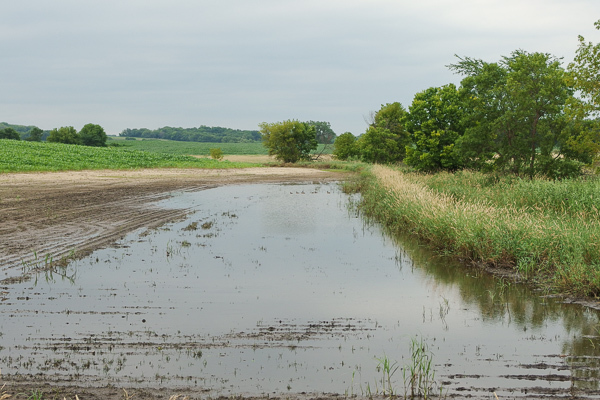 Rivers and creeks out of their banks, prairie potholes turned into lakes. This scene is very common, even now the 19th of July. This creek has returned to it’s banks, but you can see clearly where the flooding was. This pot hole is pretty much a loss I think The farmer has planted soy beans in it and they are up, but about three inches high. Unless we have a very late frost not much will come of this. 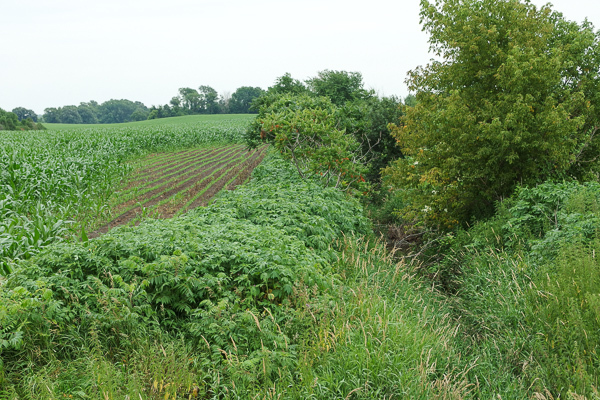 Lastly this is a corn field. The wet conditions have been hard on the corn, stunted growth, yellowing and various heights of corn tell the tale. 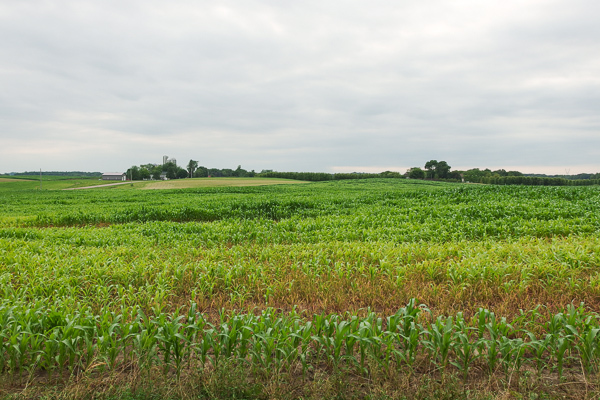 The fields that do look good are ones that were in ground that does not flood and were planted before the flooding rains. Even those, however, are a couple weeks behind other parts of Minnesota I have seen.